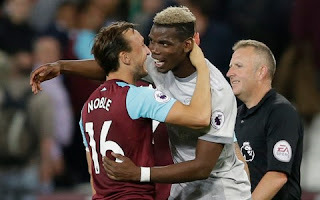 During Jose Mourinho post-match interview after yesterday game against West Ham, the Manchester United manager joked about the burst up between Mark Noble and Paul Pogba. 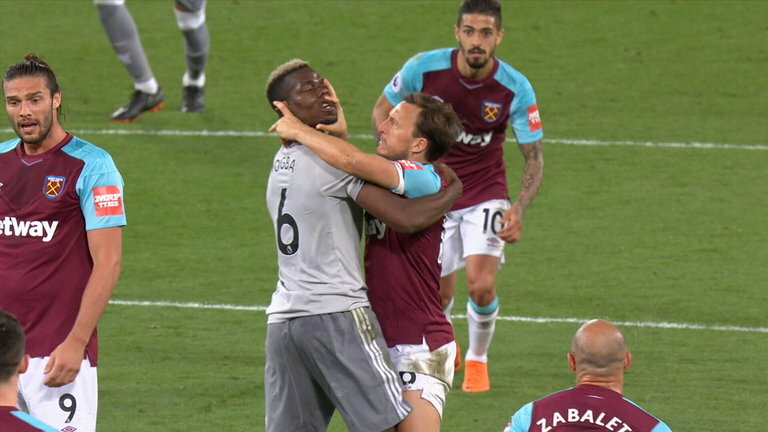 It was really not a good night for Paul Pogba again as he had a frustrating night. The Frenchman couldn't control the Midfield and he was also making some reckless challange. 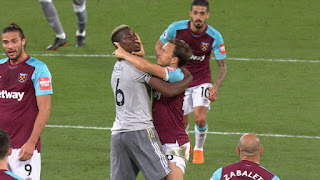 With some minute left in the game, Pogba made a bad tackle on Noble and the West Ham man couldn't overlook it which led to a brawl. Both players received a yellow card after the incident and during Mourinho's interview, he reflected on the issue. Machester United confirmed their place in the second position, they will now focuse all their training in preparation for their FA Cup final game against Chelsea.